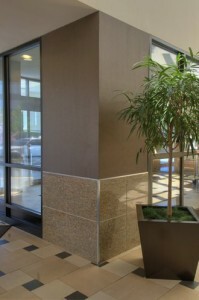 Delight Your Clients And Simplify Your Job With StonePly Natural Stone Cladding! 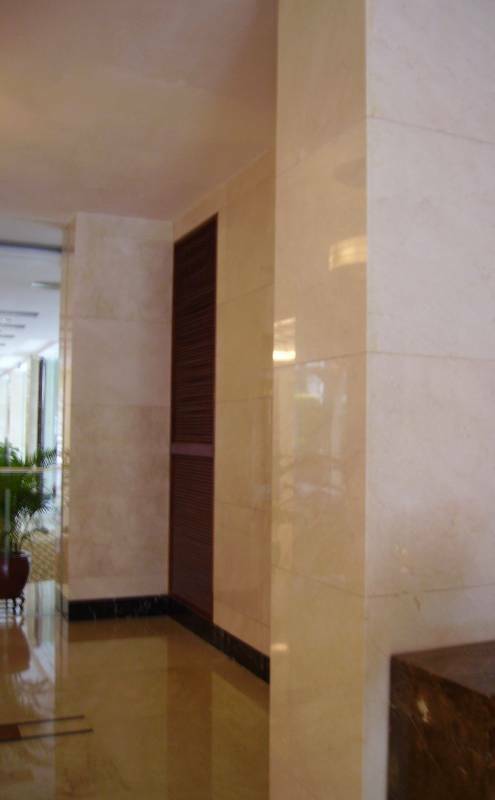 Business owners, designers, and other professionals involved in a new construction or renovation project who want natural stone cladding for building interiors look for elegance and authenticity. They also expect natural stone cladding to remain looking beautiful over the long-term, even when it is installed in high-traffic areas. StonePly natural stone panels weigh approximately 3.5 pounds per square foot, reducing the costs of and the amount of manpower required for transport. Installing our natural stone interior wall cladding does not require the use of mortar or grout, and can be completed relatively quickly by a variety of construction professionals. Our lightweight natural stone wall cladding is shatter-resistant and has high impact strength, greatly reducing the risk of damage during transport and installation. Natural stone panels by StonePly can be securely attached to sheathed stud walls or existing walls made of brick, metal, concrete, or stucco. Consequently, the extremely time-consuming process of removing existing wall material is completely unnecessary. For practical information and design inspiration, visit the StonePly website. We’ve compiled a number of resources about our natural stone wall cladding that will help you decide whether we are the right supplier of natural stone panels for your project. You can reach us by calling 903-454-4630 or filling out the contact form on our site. We are always available to respond to inquiries and concerns, and we provide free initial consultations and custom estimates to potential clients.